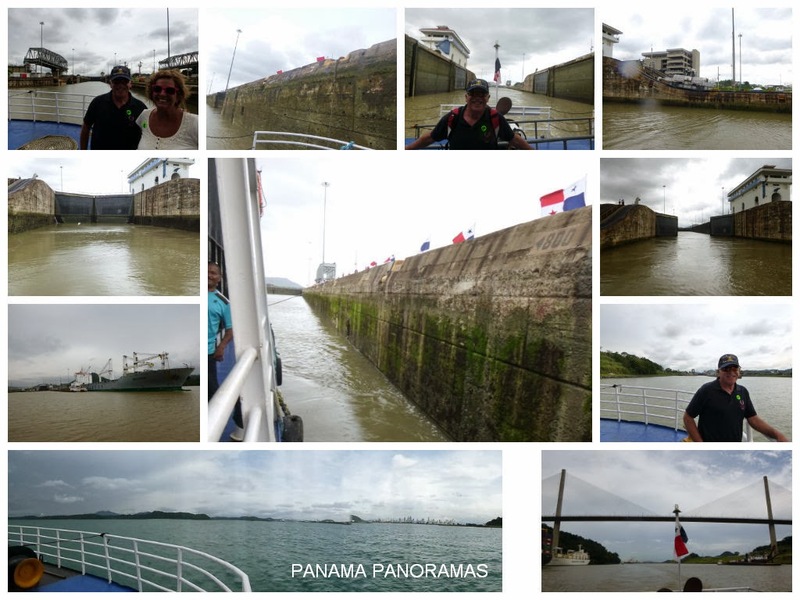 After 2 at sea days we were extremely happy to finally arrive at one of the premier destinations on our list being Panama. Fuerte (again means port) and Amador is as its spelt, we anchored here for our 2nd and last tendered port of the cruise and is the gateway to where the American base was in Panama to finish the Canal. 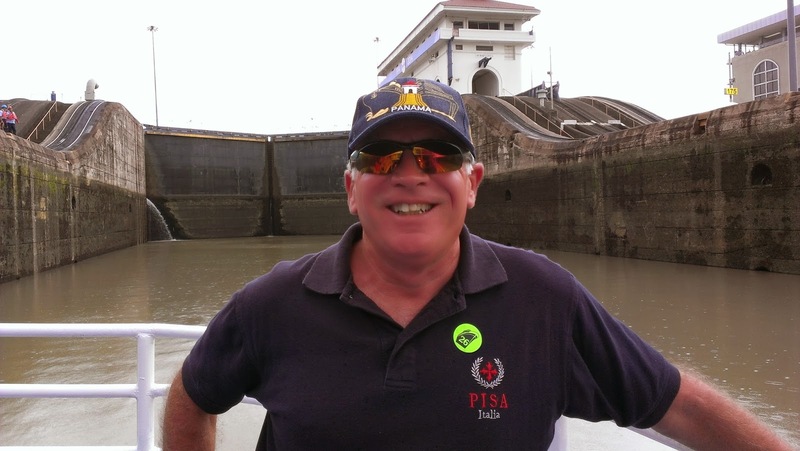 The minute you hit Panama you can feel the excitement of the commercial shipping world as everywhere you look the are ships moored awaiting the arrival of other ships or to go through the canal. Once again the port itself is great and has lots to offer for those who don't take excursions or tours but unfortunately for us we were busy busy busy in this port as it is somewhere I have always wanted to go to. Many years ago I had bought Derek the DVD of the 8 wonders of the modern world which showed the building of the Panama Canal and fortunately or unfortunately for me, my ex boss had a passion for the Panama Canal as well, so it became a story for our business journey of building under extreme conditions and I suppose ultimately I knew far too much about the Panama Canal prior to even going there - but I will say I was excited to finally be here, to be finally about to see the Canal. I didn't realise though that outside of the Canal there is a fabulous city which we were fortunate enough to also see given we had 2 days here. Day 1 we choose the Canal Experience - when we were choosing our tours I had read there were different Canal tours, most of which were observation station tours, and I though I don't want to watch ships go through the Canal, I want to experience this first hand so we choose the Canal Experience which delivered significantly more than we had expected. Taking a small boat which apparently holds 400 odd people generally, we were lucky enough to have only 70 on it the day we went and given we were late getting to port that day it seemed extremely unlikely we would get to go through any of the Locks given the need to pre-book - however the Captain of this boat ensured we had a day to remember and our tour guides where so fantastic in explaining everything about the Locks, the Construction and the Operations as we headed towards the Locks. What I wasn't expecting was to go through all 3 Locks on the Pacific side and into the Gatun Lake - I had just thought we would go up to the Locks as did most of our fellow travelers - that would have been spectacular enough but we got the full treatment and did the 2 Miraflores Locks as well as the Pedro Miguel Locks and then into the Gatun Lakes this gave us 3 fantastic experiences of being alone in the Lock and being raised up - able to touch the walls as we went and to really feel how small you are in the beginning and then experiencing that rise up not just once but 3 times. All of these large ships where held up while they waited for us to go through and this is when you begin to feel the Canal, you start off so low and so small as the larger ships wait on the other side and then within minutes you are elevated to their level. A lot of people on our cruise didn't do this, because on other cruises they had done they had gone through the canal, however for the few who had been through on large cruise ships they said that it was significantly better experiencing this on the small boat as on the large cruise lines you really don't get the full feeling of the canal. This was an exceptional tour, with guides who where fantastic to listen to, who explained to you personally what we were doing at each moment, and on board there was a great lunch, bar and souvenir shop as well, the 5 hours past so quickly and it was a mid range price tour, ie: there were other tours in the Rail Car which were significantly more expensive that only looked at the canal. This is one tour I can highly recommend to anyone, even if you have been through the Canal before - I was so invigorated, inspired and awestruck for the entire time. 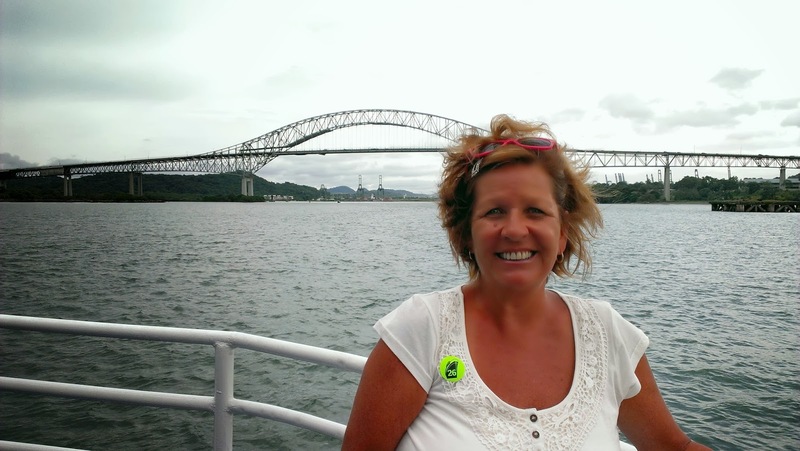 Day 2 saw us doing the Shaping of Panama tour, which provided us with a great look at the land based Panama city over the 3 ages of its life and was also a fantastic day. Visiting the old Panama the original Panama and its ruins was fascinating, and to honest I didn't even know these existed, but it was incredible to see the ruins and in the back ground some of the most modern buildings you will see anywhere in the world. The new Panama really reminded me of Dubai with the water islands and ultra modern buildings, but against the backdrop of ruins it was even more incredible. This was followed by the French Plaza which in it self was just beautiful and the contrast between the 3 cities of Panama is definitely something not to be missed. 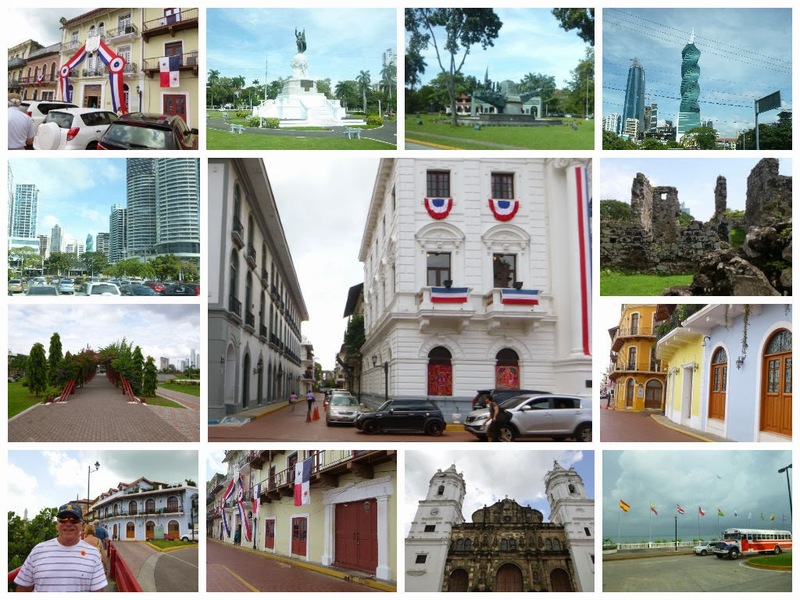 Put these 3 areas in with the American Army quarter and Panama has a lot of history - 2 lots of independence struggles and is today a thriving area which surprised me - it was clean, it was modern with a good amount of history intact and they are proud of who they are in the South American area as well as extremely patriotic which is so lovely to see. If you are ever in the general area this is a place you should not miss, spend a couple of days and do these types of tours as they are eye opening. 2 Thumbs Up for Panama - thank you we loved our Panama experience.